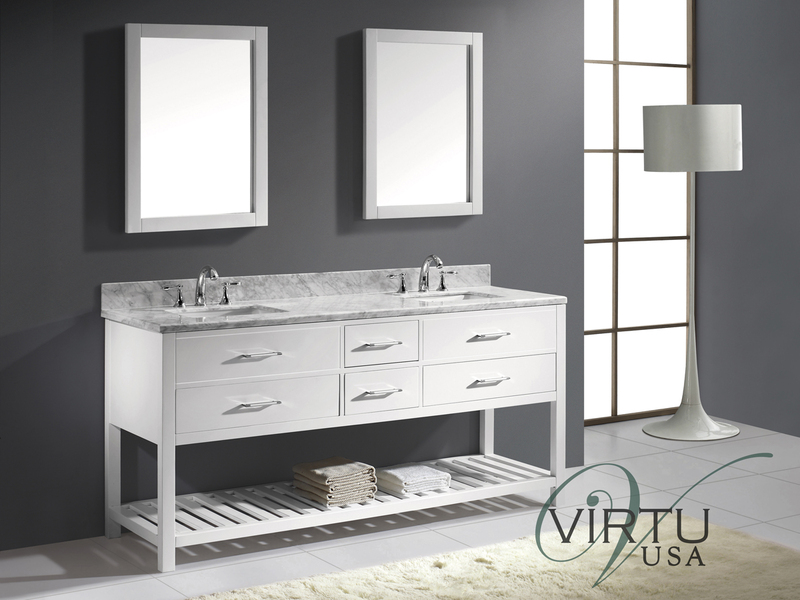 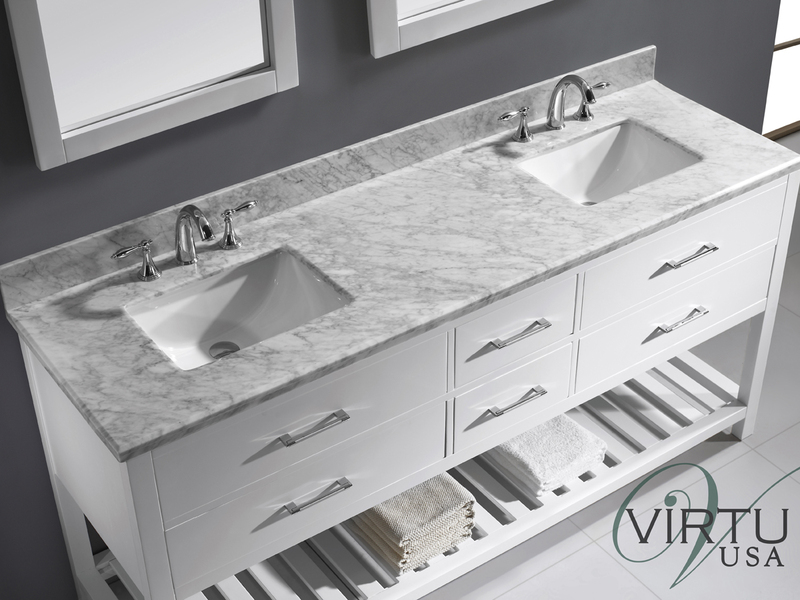 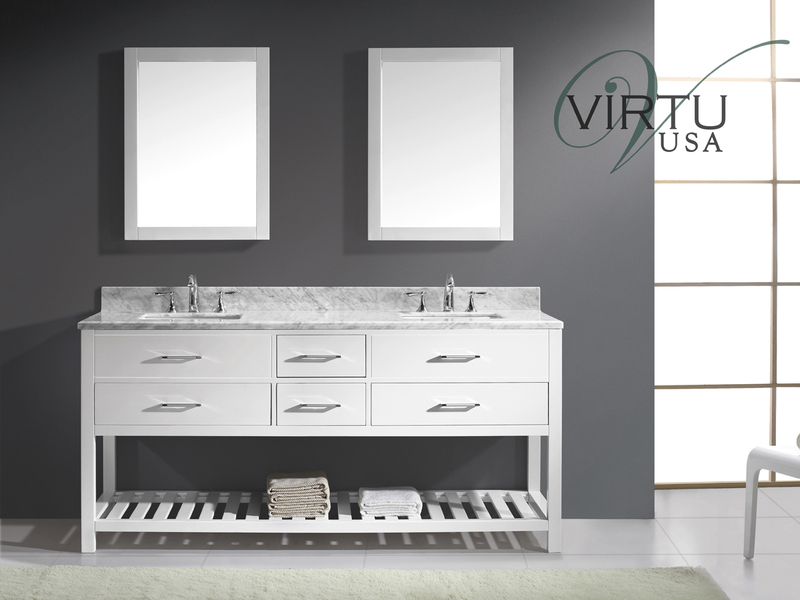 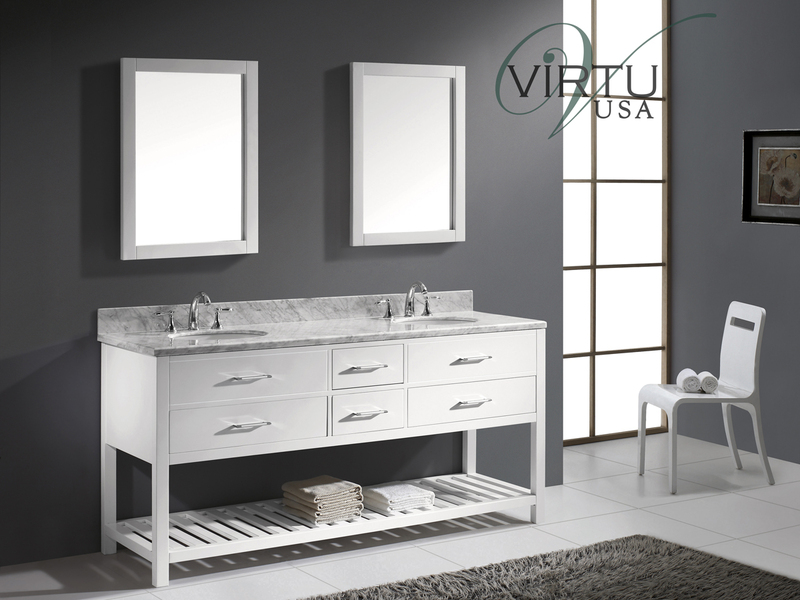 The 73" Caroline Estate Double Sink Vanity offers a crisp White finished cabinet that's beautifully complemented with an Italian Carrera White Marble top to give your bathroom a makeover that will completely change its look. 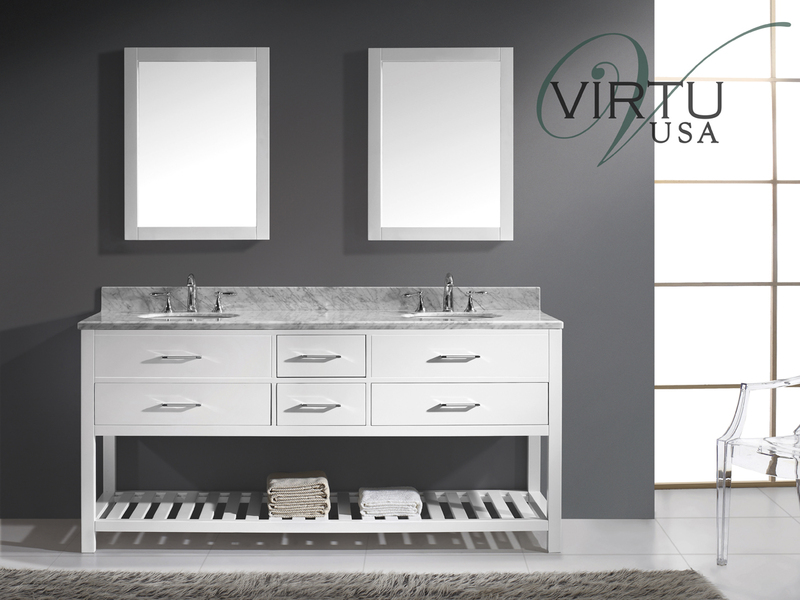 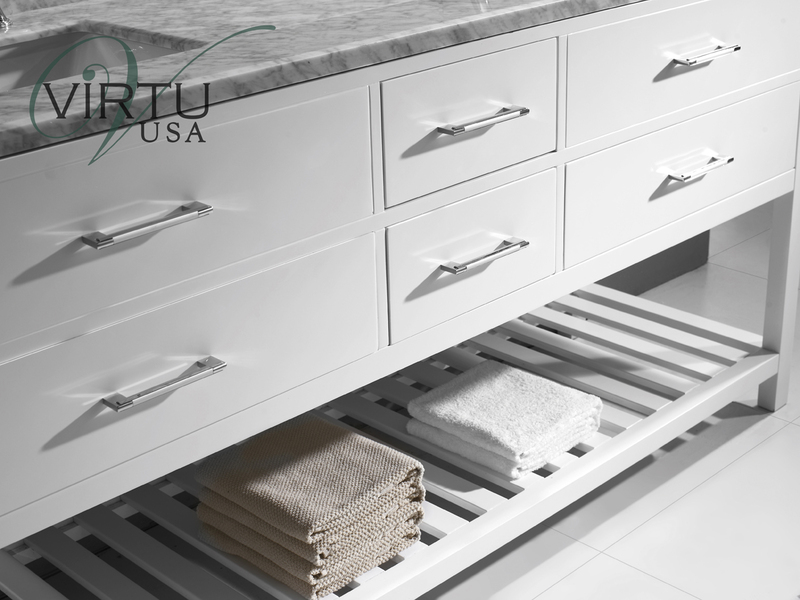 Featuring a solid oak cabinet that offers two large and two small drawers of storage space, this vanity also boasts a cabinet-wide towel shelf that's perfect for housing your clean towels or accent pieces. 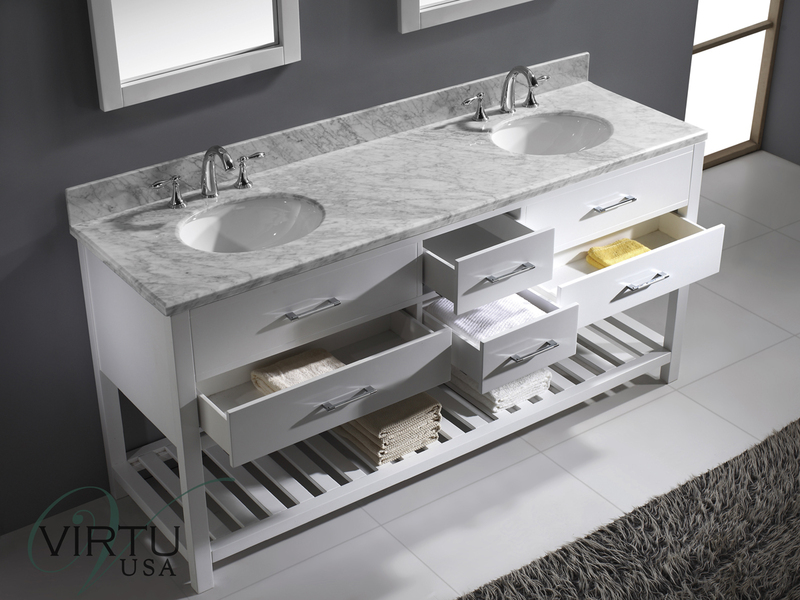 Its open bottom gives your bathroom a more spacious appeal.